If you’re looking for the convenience of being able to print from any device, this printer is a great option. The Canon Pixma TR8520 offers bluetooth connectivity and inbuilt Wi-Fi that makes wireless printing a breeze. The inbuilt wi-fi establishes a stable wireless connection so that you that you can connect to print with Canon’s useful print companion app which offers an exclusive cloud printing service. The printer is also compatible with android and iOS devices, so everyone in your home will be able to print despite brand preferences. Other mobile printing options include google cloud print, apple airprint, and pixma cloud link. Cloud printing makes the printing process easier, more secure, and in some cases can even save costs. If you’re concerned about user-friendliness, cloud printing is done in a one-step process: simply connect to air print under “system preferences” on your desktop. Another huge plus of cloud printing is that you can avoid the headache of drivers, cables or software updates– the software upgrades automatically. This printer may seem small, but it certainly is mighty. The Canon Pixma TR8520 is approximately 35% smaller and eight pounds lighter than one of its Canon sisters, the MX922. The device’s footprint may be small but it holds its own when compared to other multifunction printers. The TR8520’s compact build makes it ideal to either keep out for show or stow away in any home office setting. Not only has the printer been reworked and redesigned, but every part serves its own unique purpose. Firstly, it offers a two-tray configuration that can feed paper from the front or back of the printer. Between the rear and front paper trays, it can hold up to 200 sheets of paper, with the rear paper tray having a capacity of 20 4×6 photo sheets or 10 5×7 sheets. The two paper feeding options offer flexibility in having different types of paper ready for print. Adding to the printer’s already impressive diversity, it can handle anything from photo paper to card paper and envelopes. The printer offers fast print speeds of up to 15 photos per minute, making your photo printing experience quick and convenient in comparison to other printers. If your home is noise-sensitive, this printer even has quiet mode so that you can print in peace! One of the biggest selling points of this multifunction printer is its big, 4.3” LCD touchscreen interface that enables individuals to manage printer settings easily. With the swipe of your finger, you can get your documents printed in seconds. It’s obvious that this printer was designed by a prominent camera brand as it even features a handy memory card reader. Simply input your memory card and print photos directly onto photo paper. Canon has thought of everything–the printer even comes with sample packs of photo paper so that you can see the image quality for yourself before purchasing additional photo paper. The photos are comparable to those from actual photo printers. The Pixma TR8520 also has high-speed USB connectivity so you can connect your device manually if you wish. Although the printer’s primary purpose is to (obviously) print documents, it is also capable of faxing, scanning and copying with incredible quality, making it perfect for a home office space. 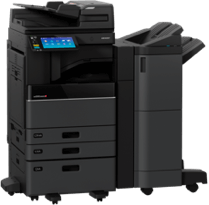 The copier features include borderless copy, fit-to-page, ID Card copy, two-sided copy, photo fade restoration, document removal reminders, auto exposure copy and more. Some promising features of its scanning abilities include multi-page PDF, attach to email, wireless scanning, and document removal reminders. When it comes to faxing, this printer has everything covered from photo connect, media card support, caller rejection, answering machine connectivity, group dialing, dial search, extra fine mode, redial, and a memory capacity of up to 250 pages. 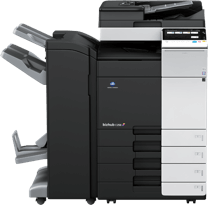 The transmission speeds of faxing is approximately 60 seconds for colour pages and a mere 3 seconds for black ink. Finally, you can save some cash on paper and energy with the printer’s convenient auto 2-sided printing. With 2-side printing, you won’t have to manually put pages back in the printer to get double sided documents. This feature is ideal for kids with long essays due. We’ve already touched on the image quality that this printer is capable of, but that’s due to the Pixma TR8520’s five-ink printing system. With the five individual ink system, you’ll only need to replace the ink tank that is completely out rather than change all of them out and have wasted ink. The variety of ink is also what produces photos with accurate colour matching and saturation. Ultimately, the Canon Pixma TR8520 is ideal for any home office. Its compact size is convenient for smaller spaces, and the multifunction capabilities will work for a home’s diverse range of printing needs. The printer is capable of printing photos, cards, envelopes, and documents in either black or colour ink. If you want to get the best bang for your buck on a printer, contact Busys business systems and we’ll find the right printer for your personal needs!